The Lost Children of the Lidice Massacre. The Nazis arbitrarily slaughtered the Czech villagers, angering the world, even as Europe’s Jews faced similar fates in concentration camps. In 1947, eight-year-old Václav Zelenka returned to the Czech village of Lidice as the last of the village’s lost children. 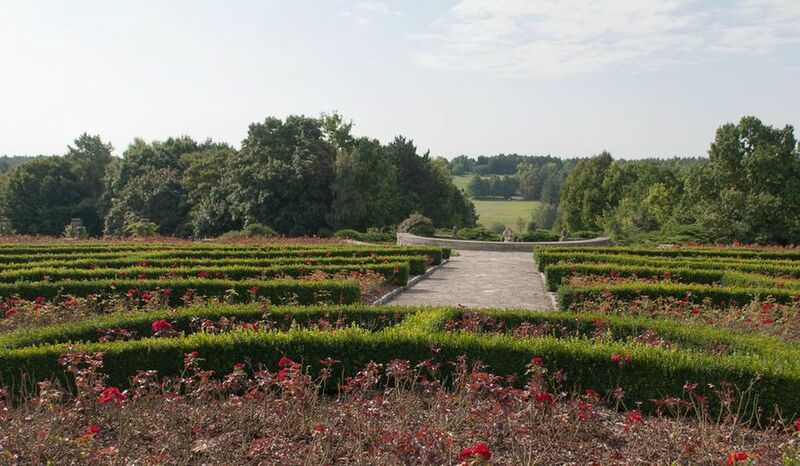 Five years earlier, he and the rest of the town’s 503 residents had been viciously attacked by the Nazis, but the young Zelenka had few recollections of the event. He had spent the remainder of World War II living with an adoptive family in Germany, never realizing that he was stolen from his community in Czechoslovakia. 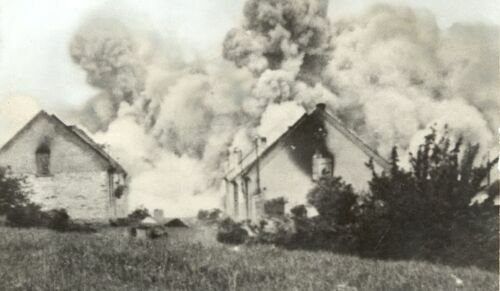 The destruction of Lidice, Czechoslovakia, in 1942, in a propaganda photograph released by the Nazis. 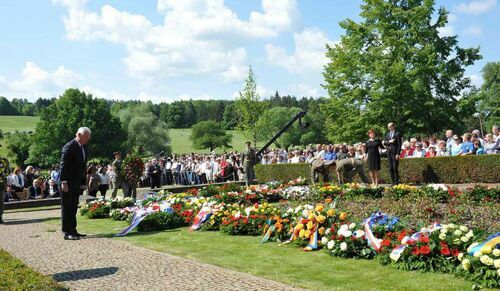 (Archive, Lidice Memorial). Eighty-two statues of children are depicted in Marie Uchytilov&#225;’s ” a monument of children war victims.> Eighty-two statues of children are depicted in Marie Uchytilová’s “A Monument of children’s war victims.” (Archive, Lidice Memorial). More than 25,000 roses are planted at the Lidice Memorial rose garden.”> More than 25,000 roses are planted at the Lidice Memorial rose garden. 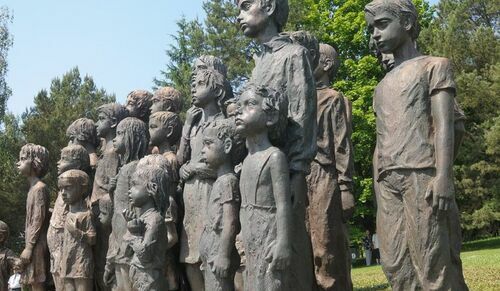 (Archive, Lidice Memorial). n the 75th anniversary of the massacre, mourners gathered to remember those killed in Lidice.”> On the 75th anniversary of the massacre, mourners gathered to remember those killed in Lidice. (Archive, Lidice Memorial). Just outside of the new village, a wooden cross marked the mass grave of Lidice’s murdered residents—including Žižková’s father and grandfather. Here, at least, survivors found a hauntingly tangible explanation for their return… (By Meilan Solli).